New York, NY, January 08, 2019 --(PR.com)-- Dr. Toyoki Kozai’s research is titled, “Opportunities and Challenges for the Plant Factory with Artificial Lighting (PFAL)” (or vertical/indoor farming). Dr Kozai graduated from Chiba University, Japan in 1967. He obtained a Master’s degree in 1969, and a PhD degree of Agricultural Engineering in 1972 from the University of Tokyo in 1972. He served as Dean of Faculty of Horticulture and Director of Center for Environment, Health and Field Sciences of Chiba University. He was inaugurated as the President of the prestigious Chiba University in 2005. He resumed his career in research as a professor emeritus in an endowed chair position at the Center for Environment, Health and Field Sciences during 2009-2012. He established the Japan Plant Factory Association (non-profit organization) in 2010 together with his colleague, and served as the president until 2018, and is serving as the honorary president to date. His early work on greenhouse light environments, energy savings, ventilation, computer control, knowledge engineering, integrative environment control using a heat pump, fogging and null-balance CO2 enrichment systems, and closed systems with artificial lighting for transplant production in the fields of greenhouse horticulture has earned him great recognition in his field. Kozai has recently been working on “plant factory with artificial lighting (PFAL)” and has been leading the R&D of PFAL. His continuous quest in this field allowed him to dive deeper into this subject. He has been invited as a keynote speaker on the PFAL to more than 20 international symposia during 2015-2018. According to AgriGarden, “A plant factory is a highly efficient agriculture system which uses high precision control facilities in the continuous production of crops." According to Kozai, it is believed that PFAL is expected to contribute to solving food-environment-resource-health issues concurrently. Kozai has further described the six major components of the PFAL viz., thermally well-insulated, almost closed structure, multi-tier unit with lighting and hydroponic cultivation devices, air conditioners and fans, CO2 supply unit, nutrient solution supply unit and environmental control unit. Furthermore, he has mentioned that relatively large automated PFALs have been built in Japan in the year 2018, and the number of profit-making PFALs has been increasing in Japan since 2016. Besides, there are ongoing large-scale projects in the world hence stressing the fact that this concept is gaining prominence not only in Japan but globally as well. In addition to the above, Kozai’s study throws light on the essential benefits of PFAL as well. First, that PFAL offers a high degree of freedom of environment control and that any environment can be created at minimal costs, thereby making it highly cost-effective. Second, all rates of resource supply, plant production and waste production can be measured and controlled. Then, Resource Use Efficiency (RUE) (amount ratio of resource fixed or kept in plants to the resource supplied to the PFAL) can be estimated online for each resource element including electricity, water, CO2, fertilizer and seeds. This shows the convenience and the hassle-free process. Currently, compared to the greenhouse, the PFAL can save water consumption for irrigation per kg of produce by 95% by recycling use of transpired water vapor from plants (The transpired water vapor is condensed and collected at the cooling coil of air conditioners and returned to nutrient solution tank). The productivity of leafy lettuce per unit land area is more than 100 times higher in the PFAL than in the open field. Thanks to this high productivity per unit land area, the PFAL can be built in urban areas with non-fertile or contaminated soil, resulting in the reductions of CO2 footprint, loss of produce during transportation, and delivery time of fresh vegetables to citizens. However amongst all the benefits, there is one issue which still remains unresolved i.e., a methodology to find an optimal set of environmental factors automatically to maximize the CP (or productivity) under given conditions is yet to be developed. To maximize the CP, unit economic value, plant growth rate, percent marketable portion, cost of each resource element, consumption and RUE of each resource element needs to be measured or estimated online, and be integrated to calculate the CP. Kozai’s excellent research suggests how the CP can be more than doubled and the impact and the expected increase this will have on the PFAL market. He has therefore proposed the reduction in cost per kg of produce, an increase in sales per m2 of cultivation space by introducing recent advanced technologies such as artificial intelligence. Currently, costs for electricity, labour and depreciation for the initial investment account for about 20%, 20% and 30%, respectively. The rest (about 20%) is for seeds, fertilizer, water, containers, maintenance, etc. Further, Kozai has discussed the idea of next-generation PFAL (n-PFAL) and the associated requirements, scheme for R&D, challenges and opportunities. According to him, n-PFAL needs to create unique environments for plant production to produce high-quality plants with high yields using minimum resources and minimum emission of waste by introducing advanced but inexpensive technologies. He has suggested different technologies, which can be of great use in the same. However, he has submitted some challenges and opportunities, for example, smart LED lighting, phenotyping (plant trait measurement), production management including seed processing and circadian rhythm, efficient use of resources with minimum waste, breeding using DNA markers of plants suited to PFALs, et cetera. He has defined plant phenotyping and has given a detailed account of its usage in n-PFAL. Plant traits include plant architecture, chemical components, physiological status and response, etc. In the n-PFAL a huge time-series dataset of plant phenotype (traits), environment and management (human and machine interventions including seed processing) is automatically accumulated in a data warehouse. The data warehouse is connected with a related genome database and other n-PFALs’ data warehouse via Internet. This global and local network of n-PFALs each with semi-open database will bring about a paradigm shift of plant/food/agricultural production and breeding of plants suited to PFALs. For example, breeding of plants suited to PFALs can be speeded up using the n-PFAL. 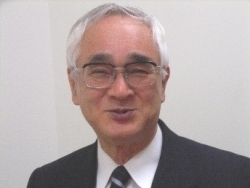 Kozai has further recommended four types of models to be implemented in the PFAL: 1) mechanistic models for photosynthesis, respiration, transpiration and growth, and for substance, energy and monetary balance, 2) multi-variate statistic models, 3) behaviour (or surrogate) models, and 4) AI (or deep learning) models. Kozai’s study has won great acclaim amongst researchers and his brilliant research on PFAL, an upcoming innovation, will be of great use not only nationally but internationally as well.